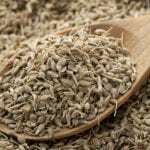 Anise, sometimes called aniseed, is a powerfully flavored and scented herb that is most popular for its culinary properties. While the leaves are sometimes used, the plant is most frequently harvested for its seeds that have a remarkable, strong licorice taste to them. Like all culinary herbs, anise is very useful to have on hand near the kitchen, especially in a container. But can you grow anise in a pot? Keep reading to learn more about how to grow anise in a container. Can you grow anise in a pot? Yes, you can! Anise (Pimpinella anisum) is very well suited to container life, as long as it has the space to grow. The plant has a long taproot, so it needs to be planted in a deep pot, at least 10 inches (24 cm.) in depth. The pot should be at least 10 inches in diameter to provide room for one or possibly two plants. Fill the container with a growing medium that is well draining, rich, and slightly acidic. A good mixture is one part soil, one part sand, and one part peat. Anise is an annual that lives its entire life in one growing season. It’s a fast grower, however, and can be grown easily and quickly from seed. The seedlings do not transplant well, so seeds should be sown directly in the pot you plan to keep the plant in. Sow several seeds under a light covering of soil, then thin when the seedlings are a couple inches (5 cm.) tall. Container grown anise seed plants are relatively easy to care for. The plants thrive in full sun and should be placed somewhere that receives at least six hours of light per day. Once established, the plants don’t need frequent watering, but keep in mind that containers dry out quickly. Let the soil dry out completely between waterings, but try to keep the plants from wilting. Anise plants are annuals, but their lives can be extended by bringing their containers indoors before the first frost of autumn.